The Atomic Redster Worldcup Classic Jr is for the classic-track champions of tomorrow. As technologically advanced as the professional model, its Ultra High Densolite core with Speedcell makes this ski super light and very dynamic. The Redster profile delivers a perfect kick and distributes power evenly to the kick zone. 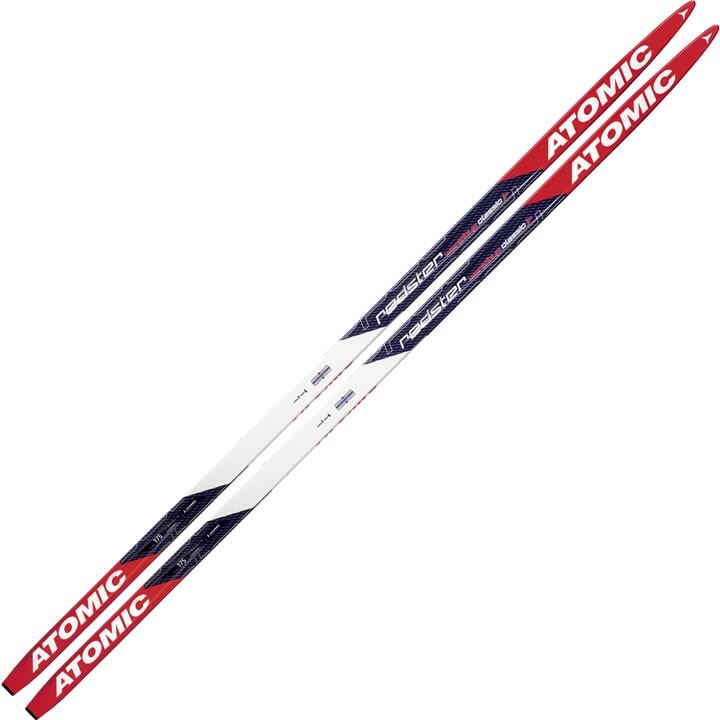 Atomic has also combined their top-of-the-range World Cup base with WC Grinding and a narrow sidecut to maximize the glide phase. What is the weight range for the 165 cm Soft? We have added a size chart to this ski. The weight range for a 165 soft is 99-110 lbs.